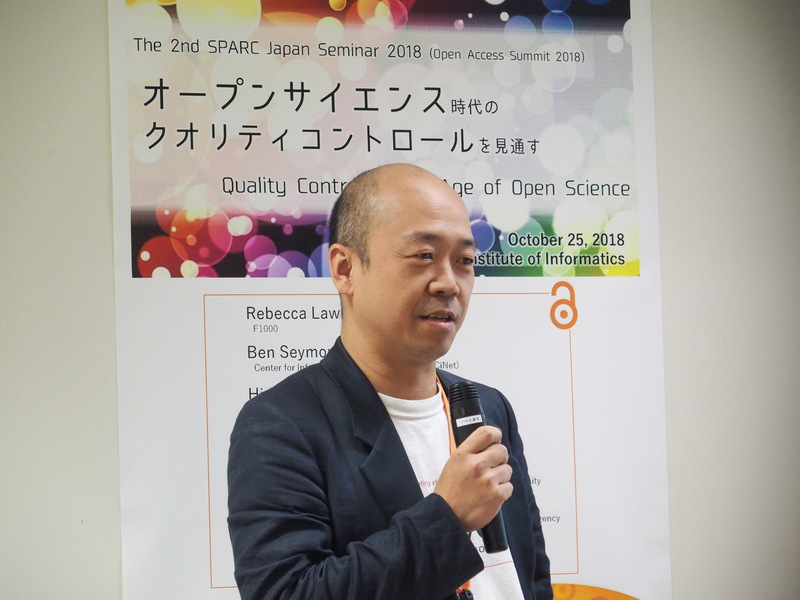 ﻿ International Scholarly Communication Initiative | Events | 2018 | The 2nd SPARC Japan Seminar 2018"Quality Control in the Age of Open Science"
HOME > Events > 2018 > The 2nd SPARC Japan Seminar 2018 "Quality Control in the Age of Open Science"
"Quality Control in the Age of Open Science"
The event was held on October 25, 2018. 53 people participated. Some slides and videos are available on the program. The others are available only on Japanese version page. Documents and SPARC Japan NewsLetter will be published soon. Open Science is foreseen and expected to make fundamental transform of science itself. Various efforts such as a digitization of academic journal have already done for advancing Open Science, even aiming publishing broader research results with ICT. Then the quality control of information is crucial to utilize open research results and also to accelerate Open Science. The way of the peer review had been argued many times in the past, even before digitization of academic journal. Nowadays, digitization and openness lead various new attempts about the quality control, for example open peer review and lightweight peer review. While use of preprints is becoming the main method to publish research results in some research fields such as computer science, the evaluation method of research results without conventional peer review is a pressing issue. On the other hand, the "Wellcome Trust", a biomedical research charity in UK, launched the “Wellcome Open Research” which was the platform for peer-reviewed open paper and data publishing. 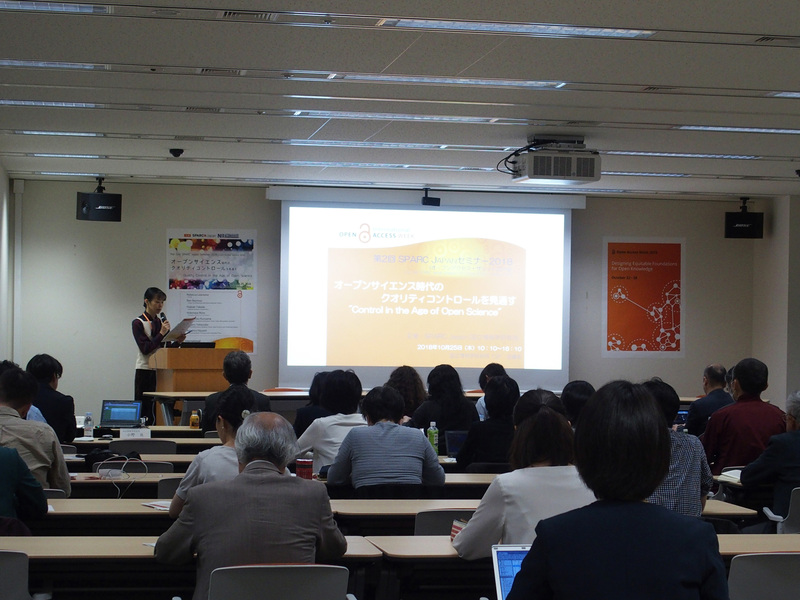 Under these circumstances, we once recognized the importance of deepening the discussion about quality control through a discussion of preprint server and institutional repositories on the 2nd SPARC Japan Seminar 2017. 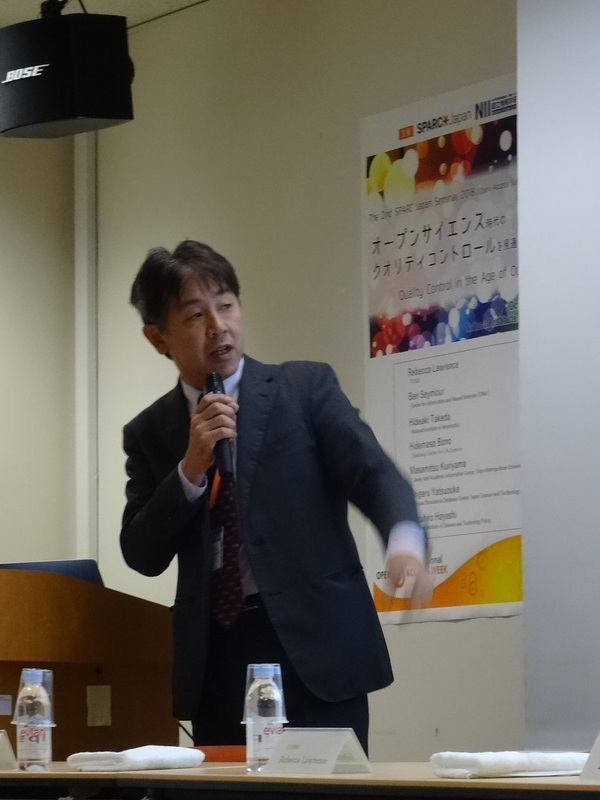 In addition, we talked about a history of science and beginning of the peer review on the 3rd SPARC Japan Seminar 2017, which reconfirmed that the quality control was a universal issue of all time. ICT and openness develop revolutionary research environments. Thus, it is very important for looking into the future of the scholarly communication that developing system for quality control, beyond conventional peer review in a specific research community, in inter- and trans-disciplinary filed or in citizen science field. 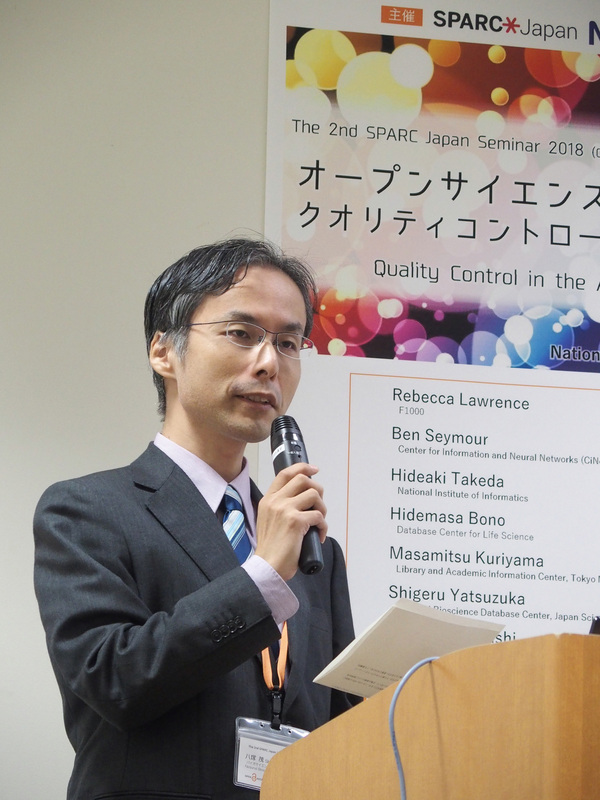 Therefore, on the 2nd SPARC Japan Seminar 2018, we will discuss perspective of quality control in the age of Open Science and how we could guarantee quality of contents. We will share information about recent concrete cases, too. Rebecca Lawrence is Managing Director of F1000, providers of a series of tools and services to support the research community in writing, publishing, discovering and evaluating new scientific findings. She was responsible for the launch of the novel open science publishing platform F1000Research. She has subsequently led the initiative behind the recent launches of Wellcome Open Research, Gates Open Research, and many other funder- and institution-based publishing platforms that aim to start a new trajectory in the way scientific findings and data are communicated and ultimately research and researchers are evaluated. She is a member of the High-Level Advisory Group for the EC's Open Science Policy Platform, chairing their work on next-generation indicators and their integrated advice: OSPP-REC. She has been a co-Chair of a number working groups focussing on data and peer review, for organisations including the RDA, CASRAI and ORCID. 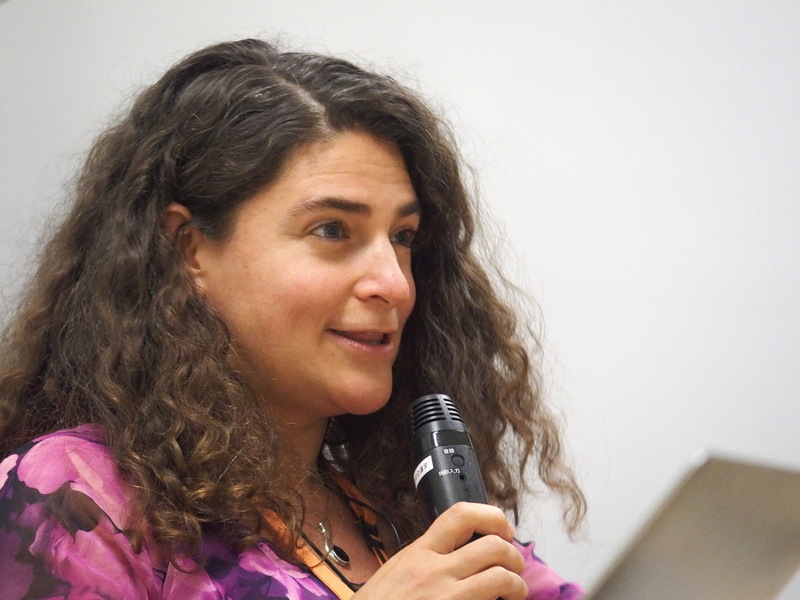 She is also an Advisory Board member for the data policy and standards initiative, FAIRsharing, and for DORA (the San Francisco Declaration on Research Assessment). She has worked in STM publishing for almost 20 years for several publishers including Elsevier where she built and ran the Drug Discovery Group. She originally trained and qualified as a pharmacist, and holds a PhD in Cardiovascular Pharmacology. My lab addresses the computational and systems neuroscience of pain. This is primarily basic science level research, but with some translational research in clinical populations. I am a Wellcome Clinical Fellow at the Computational and Biological Learning Lab at Cambridge University, and Principal Investigator at the Center for Information and Neural Networks (National Institute of Information and Communications Technology) and ATR (Kyoto) in Japan. I am also Professor at Osaka University in Japan, an honorary consultant neurologist at Addenbrookes Hospital in Cambridge, and Sackler Senior Research Fellow at Magdalene College, Cambridge. 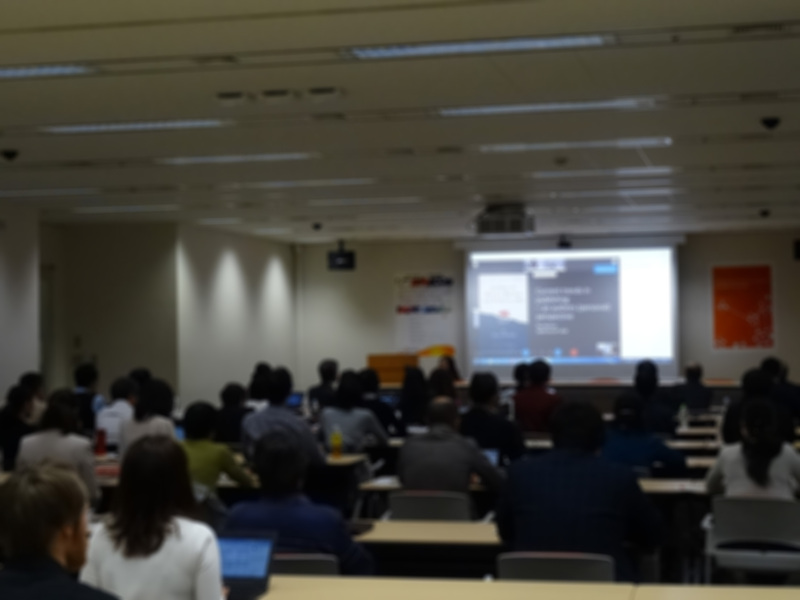 After the initiation of FANTOM(Functional Annotation of Mouse) project at RIKEN, he joined the MEXT Integrated Database Project at Database Center for Life Science(DBCLS), which was established in Research Organization of Information and Systems(ROIS). 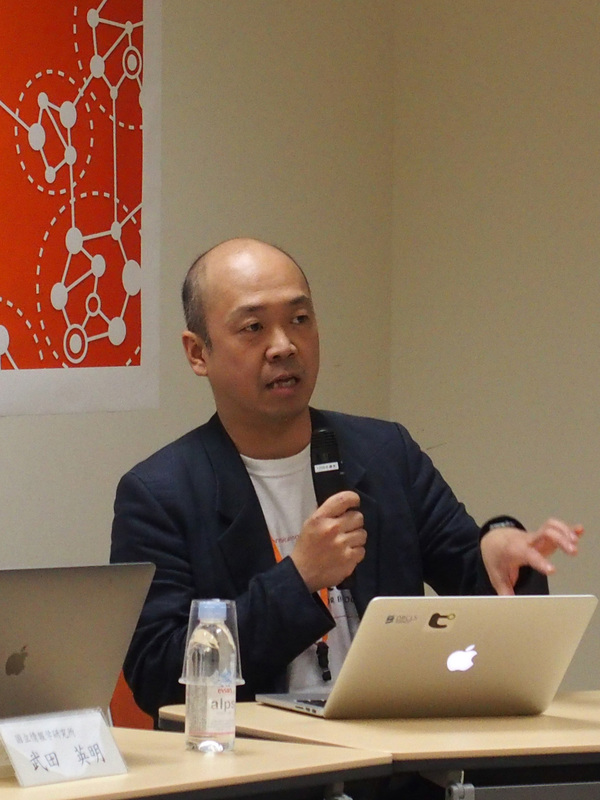 In DBCLS, they launched the project TogoTV(an archive of tutorial videos expounding how to use biological databases and tools), and now he is involved in the technology development of database integration in tight collaboration with DNA Data Bank of Japan(DDBJ) in the National Institute of Genetics. Masamitsu Kuriyama has been a professor at the Library and Academic Information Center, Tokyo Metropolitan University, since October 2013. His main research interest is in distribution and preservation of scholary information by academic libraries. 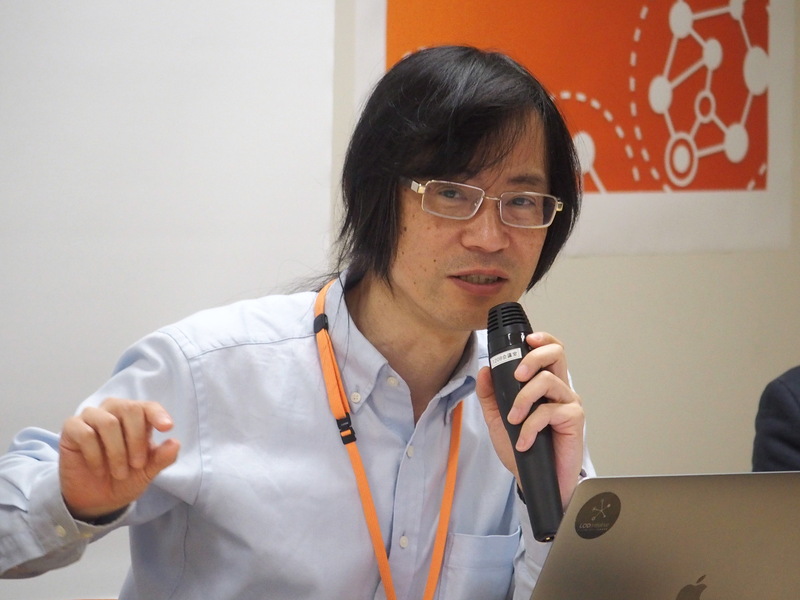 Befor joining TMU, he was a librarian at the University of Tsukuba and the University of Ryukyus, then became an associate professor of Librarian Course at Tokiwa University in April 2002. 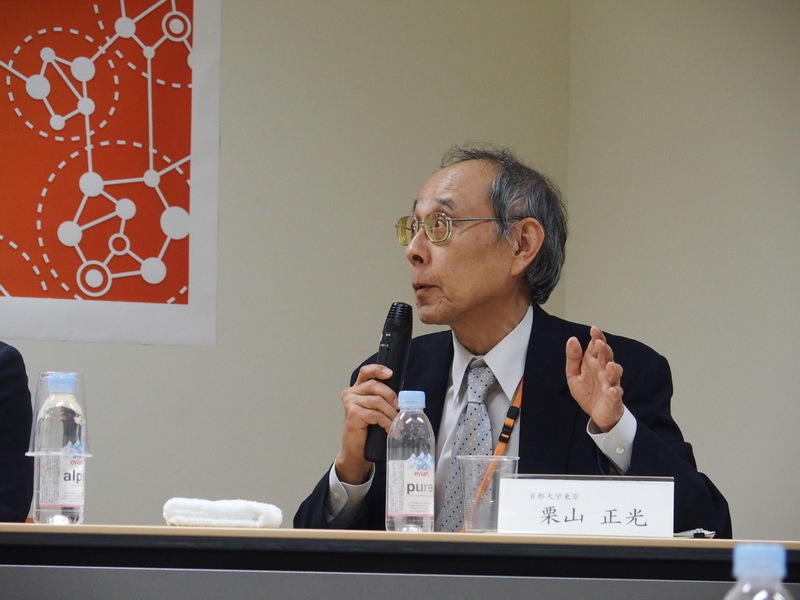 He graduated from Faculty of Letters, the University of Tokyo in 1980. He has been in Scholarly publishing, in a wide variety of roles, for more than 20 years. At Chemical Society of Japan, he has worked successively as an Editor, a Production Manager, an E-journal Manager, and a Promotions Manager. Covering a broad range of roles in publishing, he is focused on scholarly communication through E-journals, and he has reconstructed and improved the way publishing is managed through his skills involving information technology. He now studies a Science for Science and Innovation Policy to give administrative people and policy makers some evidences for Science and Technology policy. His current main task is policy implication of Open Science and Open Access, together with developing a new way to foresight ST trends. 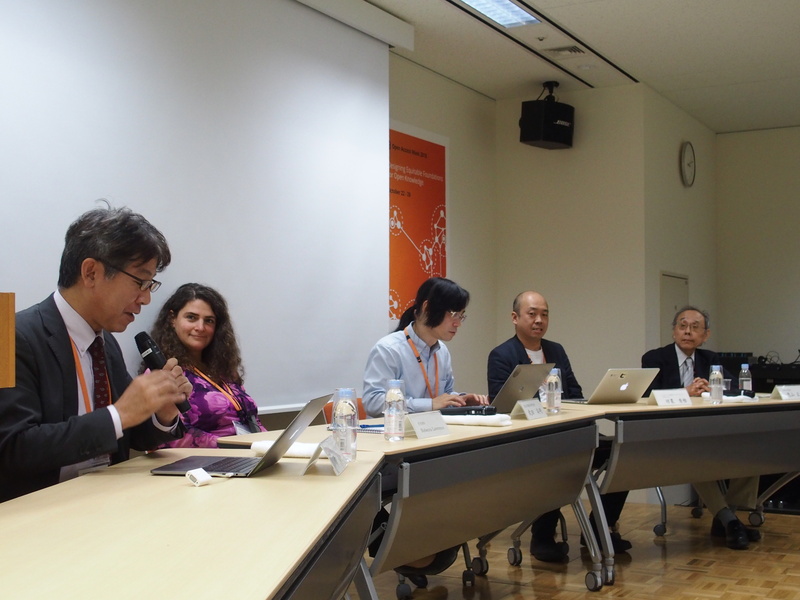 An expert member of the working party of Open Science for G7 Science and Technology Ministry meeting, also an expert member of the OECD/GSF project of Open Science. Researcher, National Bioscience Database Center, Japan Science and Technology Agency. 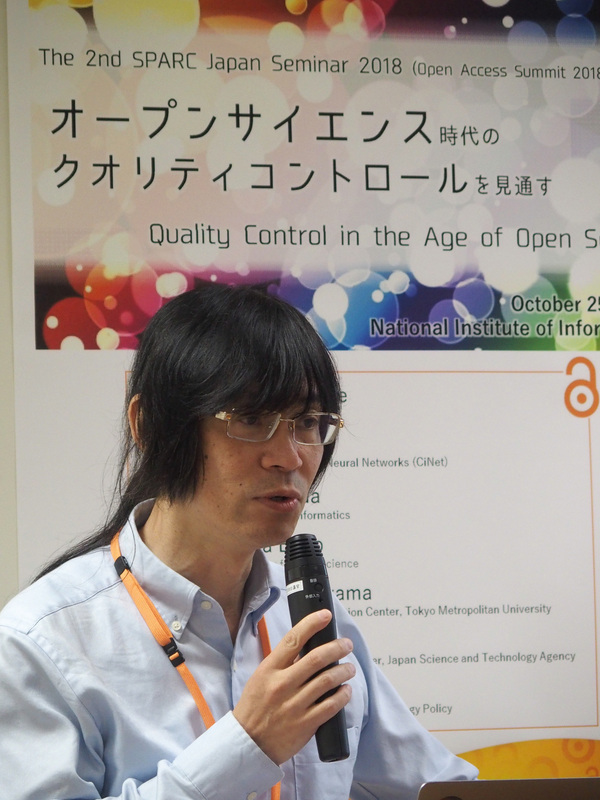 Shigeru Yatsuzuka joined National Bioscience Database Center in 2015 after working as a system engineer. He is in charge of the project to collect life science data scattered across various subjects and institutes, to research and coordinate data, to create metadata and to publish data with clear licenses. Librarian of the Section of Planning and Liaison, General Affairs Division at University of Tokyo Library System since April 2017. She is in charge of the general affairs of the library, and building the digital archives of University of Tokyo Library System. The traditional approach of publishing new findings in research journals is becoming outdated, costly and unsustainable, and can delay and damage scientific progress. 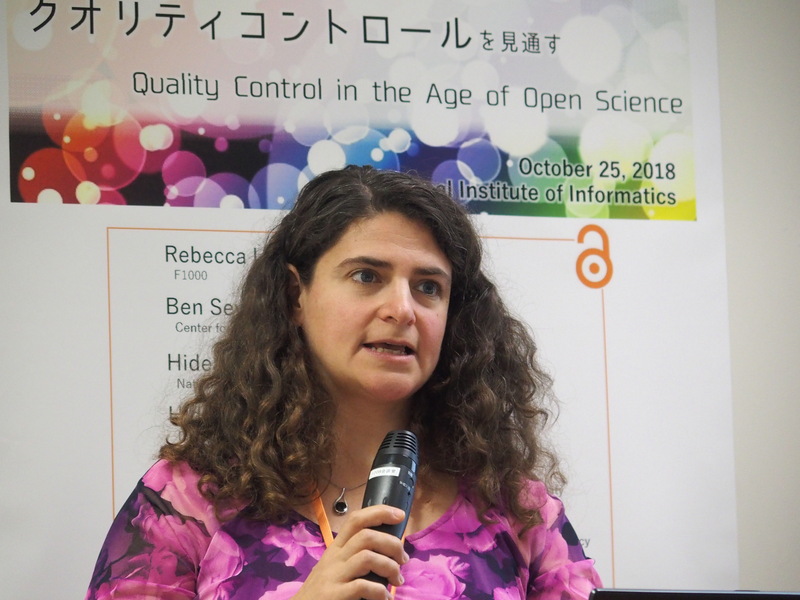 With a growing worldwide shift towards more open access and open science policies, together with significant technological advances, it has now become possible to address many of these problems. In 2013, F1000 launched the world's first open research publishing platform, F1000Research, combining the ability to publish rapidly with functionality to ensure greater transparency, robustness and reproducibility of research. Our approach uses near-immediate publication together with FAIR data sharing, followed by transparent invited peer review and article versioning. It brings control back to the author(s) and aims to remedy many of the problems associated with traditional and increasingly outdated modes of publishing research, to facilitate the transition to more transparent, collaborative and efficient ways of doing research and delivering impact. Testimony to the rising interest in, and demonstrable benefits of, open research publishing, we are now providing publishing platforms to a large number of high-profile research-funding agencies and research-performing institutions across the world (e.g. Bill & Melinda Gates Foundation, Wellcome Trust, African Academy of Sciences). This approach changes the respective role of publishers, funders and institutions in the ecosystem, and has the chance to finally address many of the well-known problems with the current research and researcher evaluation system. I will provide an author’s perspective on the current state of publishing. I aim to talk about what drives decisions about where to publish, and what authors like and don't like about the current publishing environment. I will discuss issues like journal prestige, open access, data availability, submission process, publishes ethics, and try to give an insight into the equation that goes through the mind of the author. I'll also present and compare my experience with Wellcome Open Research, especially in the context of other new open research publishing platforms. The ecosystem of scholarly communication is dynamically changing now due to use of the Internet and dissemination of Open Access activity. There are many different ways to publish research results instead of the traditional ways such as publishing articles in journals. We overview the current ecosystem of scholarly communication and in particular the role of preprint servers. Furthermore we discuss the state-of-the-art of arXiv. The preprints are now getting widely used in life science. In the preprint server, researchers can share not only the information about biological results before the peer-review process, but also the information about newly developed commercially available machine and the documents about publicly available databases and webtools. In 2018, I uploaded a new research manuscript to BioRxiv, the most famous preprint server in life science, and one of my collaborators also did the same before we submitted the manuscript to peer-reviewed journal. I will introduce the current utility of preprints in life science and try to discuss how to annotate the quality of information in preprints.